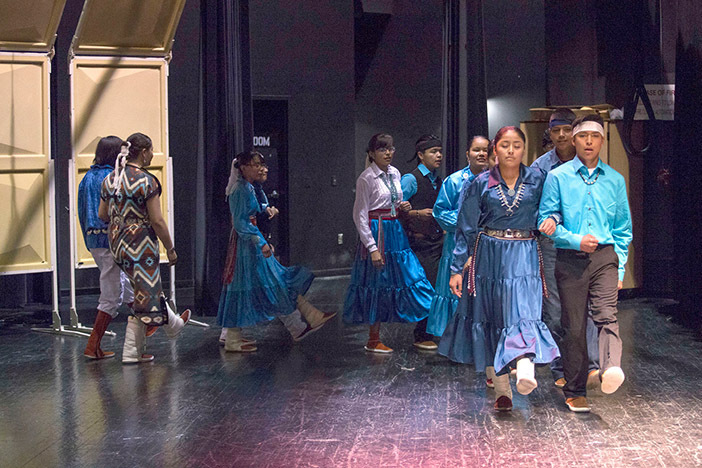 The 11th annual Diné Language and Culture Festival brought together students from across the district in a competition to showcase their Navajo heritage in the categories of oral presentation, singing, and dancing May 4. 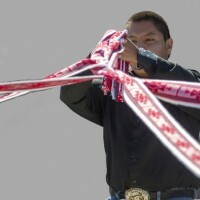 The event took place at Gallup High School. 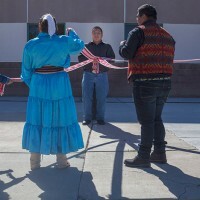 Vern Bia, director of cultural education for Gallup High School, commended students for their traditional dress and encouraged them to take pride in their identity. Carmen Moffet, director of the GHS Johnson O’Malley Department, provided the welcome address. The upcoming events include a middle school competition, which will be held May 14. The in-town elementary school competition will be held May 15, and the elementary in-county school competition is scheduled for May 16. “We welcome you to come back and help us support our students who will be competing in these categories,” Moffet said. 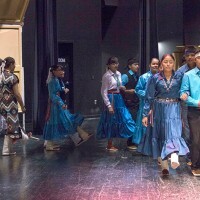 In the first event, high school students from Crownpoint, Gallup, Miyamura, Navajo Pine, Thoreau, Tse’ Yi’ Gai, and Tohatchi competed to show off their knowledge of Diné culture through song, dance, and oral presentation, where they highlighted their language skills. Oral presentations ranged in their topics, covering the oral history of the Sacred Mountains, their representative colors, Navajo tenets, the traditional names of the mountains, and gender. 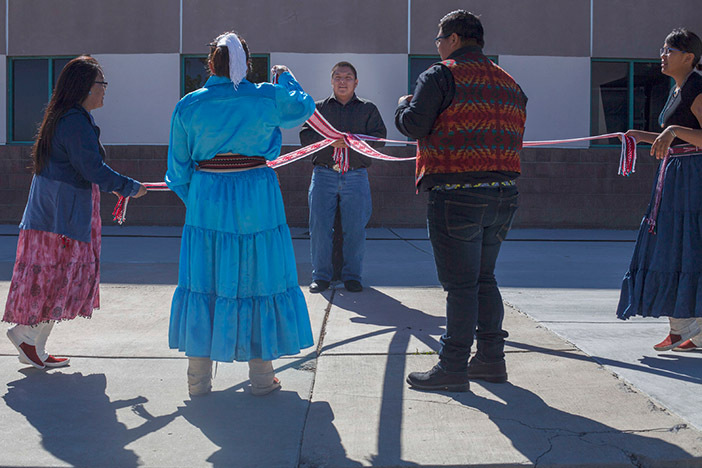 Tohatchi High School students presented a re-enactment of a Star Wars scene in Navajo, including stage props that featured Darth Vader and Storm Trooper masks. 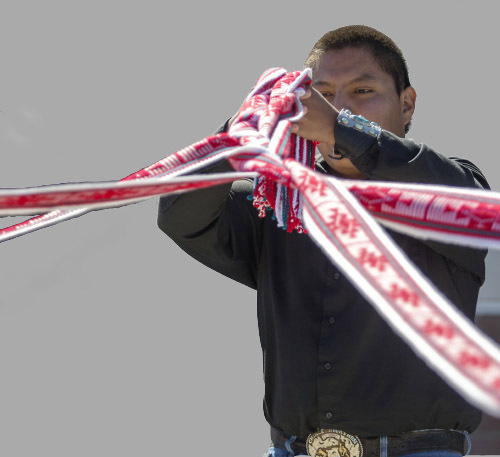 Other performances included the traditional Navajo Round Dance, Sash Belt Dance, and traditional singing performances. Bia praised the student participation and said the culture festival originally began with parents working with the JOM Dept. 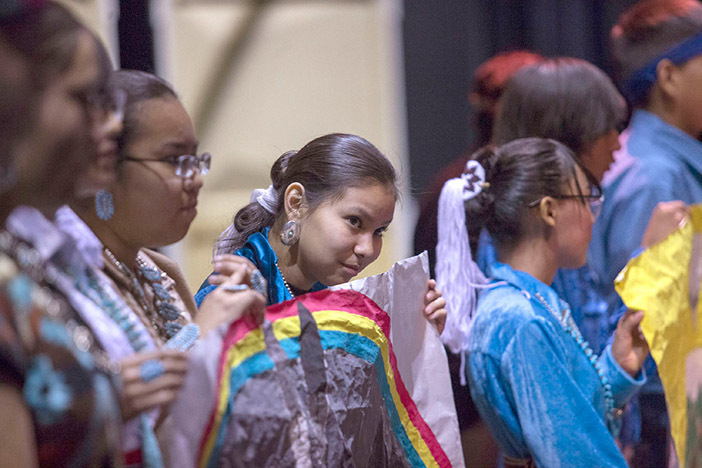 The Johnson-O’Malley Program is a federal subsidy that funds native education and cultural programs. “It’s about bringing students together to share what they learned in class,” Bia said, of the competition’s goals. Moffet said she was part of the event from the start and praised the work of Louise Benally from Church Rock. “We used to send our children to compete at other competitions, like the one at Window Rock High School. Louise also served as a judge at those events,” Moffet said, referring to the time before a similar competition found its place in Gallup. Gaining institutional knowledge of how to organize such a competition was important, from establishing categories to formatting judging. 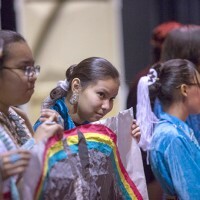 Eventually, Moffet and Bia decided to organize an event for the Gallup McKinley County School District, and despite some growing pains during the early years, their work led to the successful cultural festival of today. For oral presentation, Tse’ Yi’ Gai took first place, Gallup took second, Navajo Pine took third, and Crownpoint took honorable mention. For the singing presentation, Tse’ Yi’ Gai took first place, Gallup took second, Miyamura took third, and Tohatchi took honorable mention. For the dancing presentation, Navajo Pine took first place, Gallup took second, Tse’ Yi’ Gai took third, and Miyamura took honorable mention.